Tuesday, December 11, 2018 - The Director of Criminal Investigations, George Kinoti, has continued parading photos of suspects on social media despite a court order barring him from doing so. Mr. Kinoti and Inspector General of Police, Joseph Boinnet, were barred on Friday from posting photographs of suspects being booked at a police station on the internet by Justice Wilfrida Okwany. 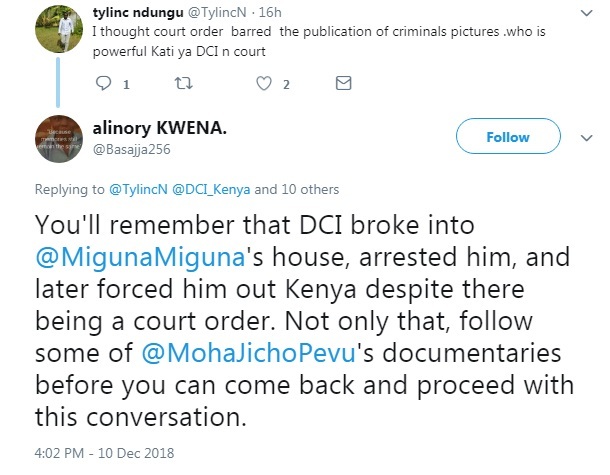 However, on Monday evening the DCI posted a photo of a Police Constable who was arrested for exhorting money by threatening a manager of a private hospital in Nakuru on twitter. 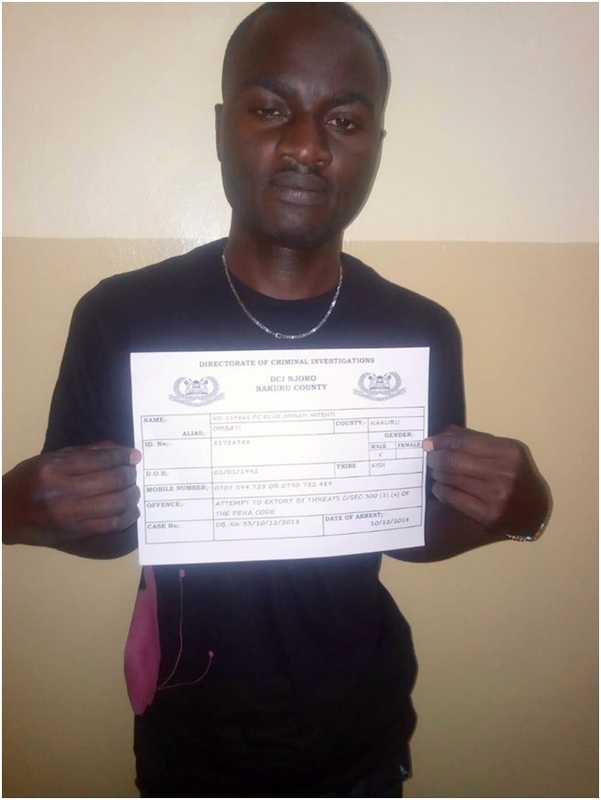 “He was nabbed by detectives for trying to extort money by threatening the Manager of Njoro Huduma Nursing Home with arrest. 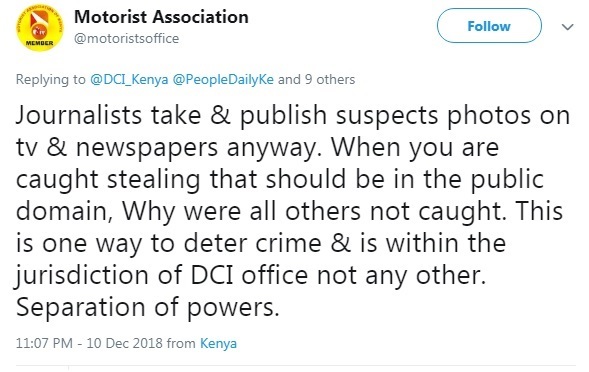 He was accusing the management of illegal power connection,” the DCI wrote on twitter. This may land Kinoti in trouble because it is a clear contempt of court or maybe they have not been served with the court ruling. See the photo and reactions below.